Side loading moulding system with high precision miters. Concealed corner clips produce perfect corner joints. Assembles & dis-assembles in seconds – no tools required! 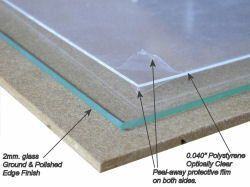 Multiple backing and glazing options. ABS plastic extrusion, foil film surface. Precision machined miters and assembly interface. This is a side-loading moulding system . Inject molded, concealed corner clip assembly system (patented). 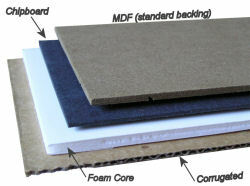 1/8″ Medium Density Fiberboard (MDF) smooth both sides (standard). 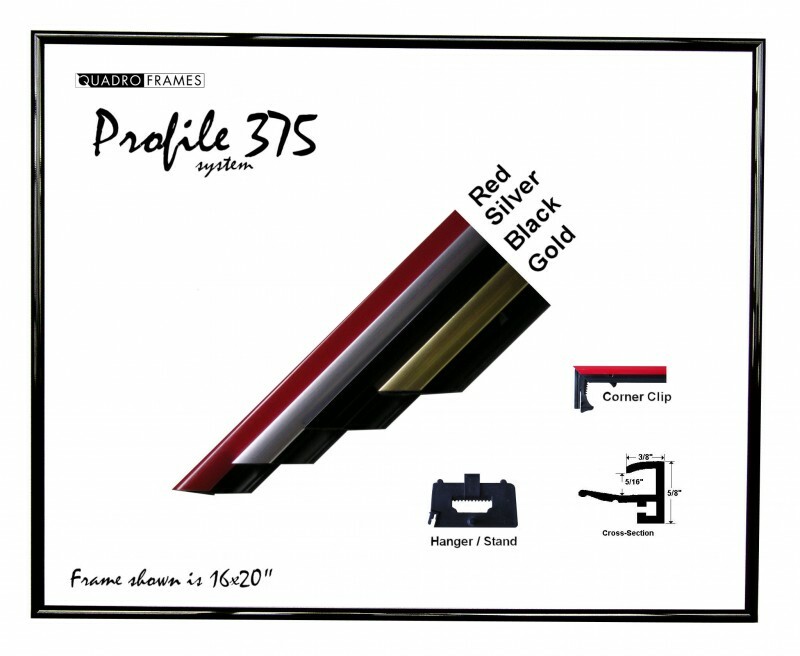 Complete frames kits are offered in sizes from 5×7″ to 24×36″. Frame kits are complete frames with mouldings, backs, glazing panel (glass or plastic) and all hardware. Moulding kits are offered for all available sections. 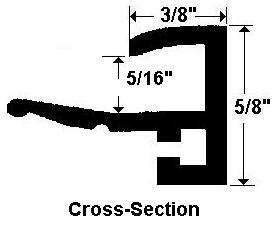 Mix moulding lengths to make custom sizes (for example 5×30″ frames). Moulding kits include all necessary assembly hardware but do not include backs or glass/plastic glazing panel. Frames display vertical or horizontal (portrait or landscape) . Profile 375 frames are for wall or tabletop (to 9×12″) display. Secure wall mounting system is available. System accepts standard 4 ply mattes . Custom colors & finishes are possible in volume. Contact us for a details or quote.